This film shows the use of clever slide-like masks. They slide into a slot between the gate and lens (I assume). I love the effect. In visual storytelling, masking off certain parts of the frame is very useful. Chaplin used the iris-in to great emotional effect. This can be done easily in digital editing, but if I wanted to use these tools in-camera, how would I do it? Were these specific to the Cine-Kodak Special? Or did all cameras before the 50s have such options? Many cameras had gelatine slots for filters that could accommodate very thin shim stock (brass usually). How far from the film plane the slot is located determines the sharpness of the matte or mask. 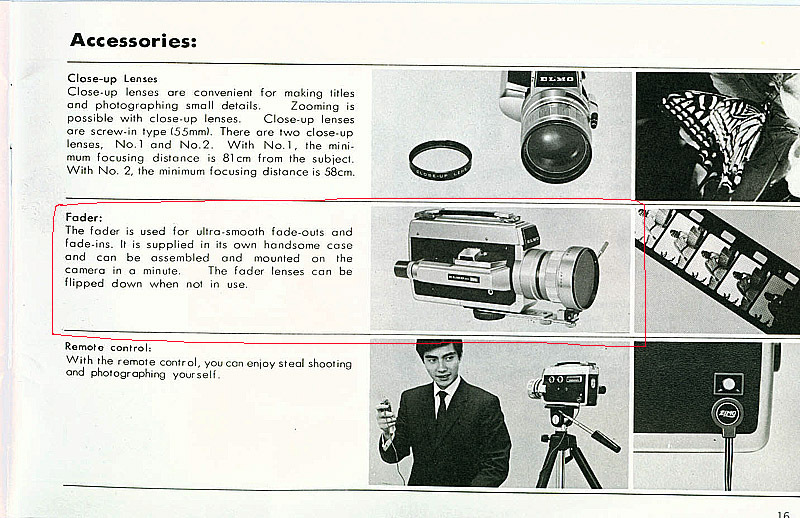 Some variants of silent film cameras like the Mitchel Standard could be fitted with a factory option, built-in iris behind the lens mount that could be adjusted for center point and diameter, as well as hand cut hard matte cards (https://archive.org/stream/motionpicturenew24moti_6#page/2330). However the majority of cinematographers used a custom mattebox in front of the lens. Goerz seems to be the most popular manufacturer I run across in literature from the silent era. Read this article on camera specifications by Carl Louis Gregory in 1917 under the section "Attachments and Mattes" (https://archive.org/stream/moviwor31chal#page/n637). Here is another article by the same author in 1920; https://archive.org/stream/motionpicturenew21moti_1#page/1736. It depends upon the camera and how it was designed. All cameras can use a Matte box with shape masks, but they are ill defined and not of much use for precise in-camera split-screens and such. To do seamless matte work, the matte must be almost in direct contact with the surface of the film and the matte slot would have to be directly over the taking aperture, as is the case with the Cine Kodak. While there are few existing vintage matte boxes with working iris attachments, you can build your own iris mechanism by adapting a large format adjustable iris lens mount to fit on a matte box. You can see an example on this webpage: http://picssr.com/photos/132059798@N02/page159?nsid=132059798@N02. That's some excellent info. Precisely what I was looking for. I have an Elmo Super 106 and I just bought a Bell & Howell Model 627 16mm. I know the Elmo has an attachable "fader," but I'm not sure this does the same thing as an "iris-in." As for the B&H, I'm not sure how a matte box could even be fitted. It's an oddball turret design. Just like any other camera, you get a set of rods or a plate (heck it could be a simple board) that mounts between the tripod and camera body and extends beyond the lens. You then mount a riser upon which you attach a filter frame that can accommodate a lens hood and any attachments you wish to use. You'll need to carefully measure the distance from the tripod mount to the lens front and the height from a plane extending from the bottom of the tripod mount to lens center to either purchase or fabricate the mattebox holder. Do some Google searches like; DIY Mechanical Iris, DIY Matte Box, etc. Again, excellent info. Thank you. I saw an Elmo fader for sale on another site and wondered if it was worth the bother. Doesn't sound like it. It seems to me that the matte box wouldn't give me the same effect as a proper mask/matte slide. In fact, it would more than likely cause focus headaches. I do think a mechanical/manual in-camera effects have a unique look, but unless the camera itself is designed to employ them, it's a waste of energy. Digital vignettes/masks look almost ironic when they're used. I'm thinking Wes Anderson here. That may just be because I find his sincerity suspect. I'm not certain he doesn't use iris effects and matting in a hipsterish fashion. I suppose that's a perfectly valid use, but I personally don't care for it. Depends on what you want to do and, beyond a general expressed desire to do an iris-in, you haven't defined what that it is you want to do. As for cameras being "designed to employ" a mechanical/manual effect, 99% of film cameras were not designed with specific special effects in mind, but gave the cinematographer a precision framework from which to made it possible with a lot of hard work, experimentation and imagination. In the past several decades I have corresponded with others on how silent film special effects were made, this is about the point where most people drop their ambitions and do something easier. I want to make new silent/visual comedies. So I'm exploring the techniques used in the golden age of silent cinema to see what's practical for today. It's not really about recreating anything. Rather it's being aware of the established language of silent film, but telling my own stories. I'm not a cinematographer, I should reiterate. However, I feel that a director should have a working knowledge of cinematography so he/she can adequately realize his/her vision. This is especially important if you're working in a style of cinema that's largely dead. The last great director of visual comedy was Jacques Tati and that was the 1960s. So whether I use the physical, mechanical effects or not, I want to know how they are/were done. Certainly I agree that the Pathés, 2709s, and Mitchells were incredible platforms for creative filmmaking. Consumer or even pro-sumer film cameras cannot compete. The question becomes then: are those techniques possible on the equipment we currently have access to? As a director, you have to think in terms of compromise. Where are you going to employ the most effort? You just can't have everything. So it's not so much a matter of dropping ambitions, it's more a matter of efficiency. A finished film is better than a theoretical film. If you're going to resurrect dead techniques, you'd better have a good reason, or they're wasted. "The War, The West and The Wilderness"
"Behind the Mask of Innocence"
"Two Reels and a Crank"
"Silent Film" is not monolithic. There are roughly 4 periods of production in U.S. silent film production; 1894 to 1904, 1905 to 1912, 1913 to 1918 and 1919 to 1927. Which do you wish to emulate? It is not a simple topic. That's a great list. Thanks again. I'm not looking to emulate any era (though my biggest influences are Chaplin, Keaton, and Tati). That's a one-way ticket to mediocrity. I'm well aware how wide a topic it is. There's an entire European catalogue of silent film that often gets forgotten. It can never be a truly hand-cranked, in-camera, nitrite medium any longer. No matter how much we might love those films from 1915-1940. The whole thing changed with "The Great Dictator." One the Little Tramp spoke audibly, the spell was broken. Silent comedy (not silent film mind) is book-ended by Chaplin. The minute the Tramp looks down the barrel of that Pathé in "Kid Auto Races at Venice," the die is cast. Once the Tramp spoke, the era ended. Tati did manage to recapture a good deal of it with his use of 70mm, but he had also studied that golden era. He reinterpreted the language of physical comedy and mime by combining it with a good deal of the new wave. So I can never emulate 1925 (or any year really) unless I have a really good reason. Yeah, sorry to bother you. Good luck with your future. No bother at all! Those resources are extremely helpful! So to update, I stumbled over the Cokin system, which is perfect for these simple mask effects. Fits my s8 and 16mm cameras perfectly. The only filter I don't see available is a moveable iris. The diy options are all too large.